This is a free program! It encourages kids (and their adults) to read books produced by Canadians. Kids can participate at their local library. Feeling so grateful. Thank you to everyone who makes this club possible! Hey, I’m a board book author! 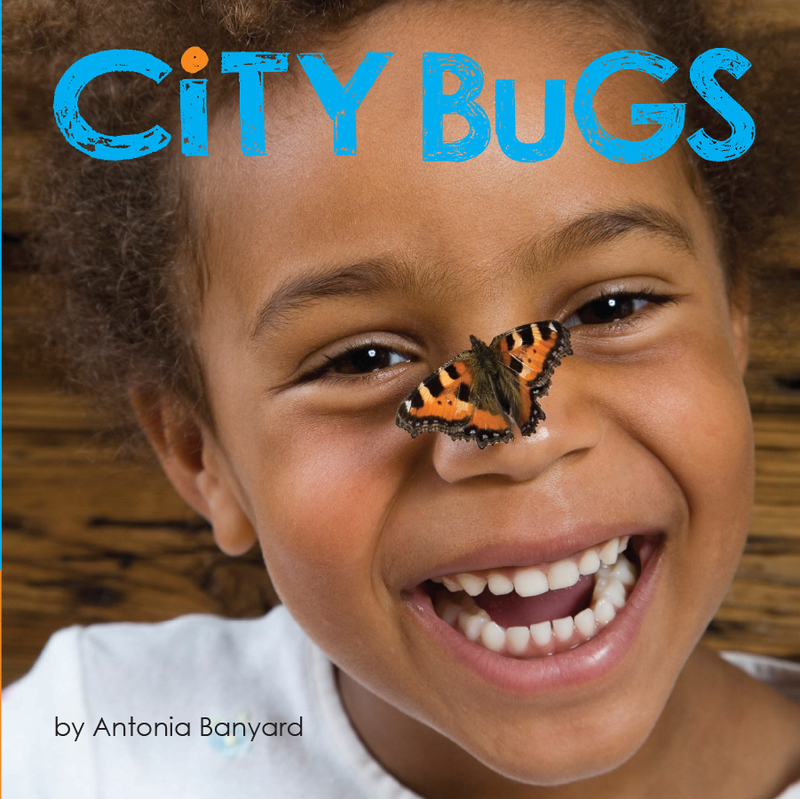 My two board books, City Critters and City Bugs, were officially published in September, 2018. Toddlers love wildlife of all sorts, even slugs and bugs and the ones adults don’t love. There are wild animals (and wild bugs) even in the city. 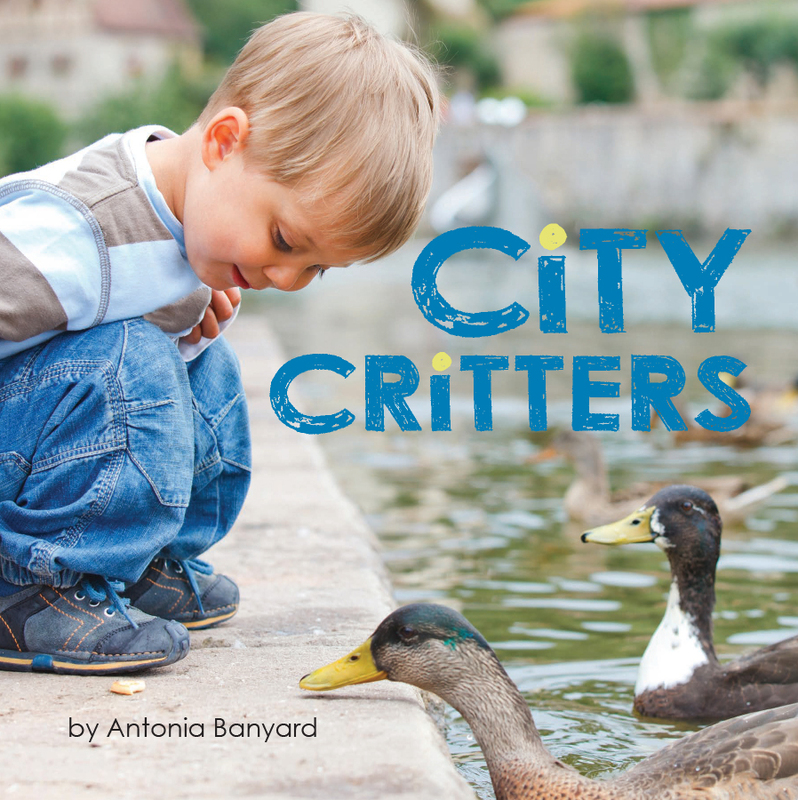 These books feature photos of the kind of wildlife a toddler might meet in their neighbourhood. Hello 21st century! I’ve arrived! I’m on Twitter now. You can find me @AntoniaBanyard. I’m still learning the ropes, so bear with me please. I’d love to hear from you. Sometimes things happen so fast, I can’t keep up. It’s been such a hectic fall, I haven’t had a chance to blow my own horn! What’s a shamelessly self-promoting author to do??!! Water Wow! is also a finalist for the Norma Fleck Non-Fiction Award. Winners are announced Nov 21. How exciting! Fingers crossed. 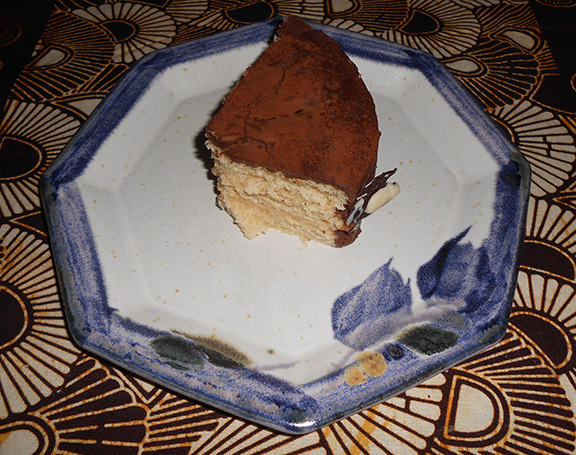 And finally, Eat Up! has been nominated for the OLA Silver Birch Non-Fiction Award. Kids will vote for their favourite book and winners will be announced in May. I’m feeling very lucky (and a little overwhelmed) lately. Thank you to everyone who makes these awards happen. They make a huge difference to authors like me. The things you can learn at your local library! Thanks to Avi, our children’s librarian, for being more in the know than I am. 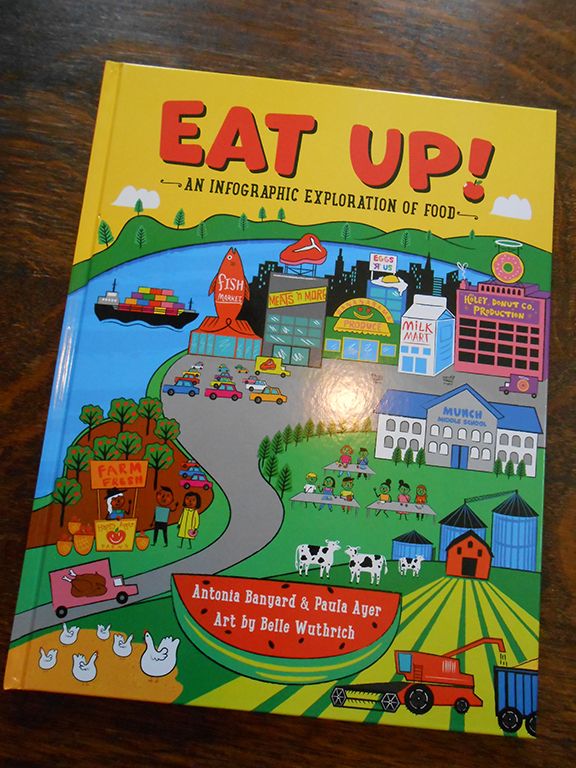 He showed me a great review of the new book, Eat Up! in the April issue of Quill & Quire. I was just as interested in the other book that was reviewed, Meatless? by Sarah Elton. I’ll have to find myself a copy. Thanks to the Canadian Children’s Book Centre for including Water Wow in their Best Books for Kids and Teens 2016. The CCBC has been promoting and supporting Canadian children’s books for over 40 years. There are so many wonderful books on this year’s list. I wish I could read them all! Donna Kutzner on Good company!